Barbie® Unveils One-of-a-Kind Doll Honoring Gabby Douglas | Mattel Inc.
EL SEGUNDO, Calif., July 11, 2016 -- Today Barbie® honors Gabby Douglas, U.S. Women's Artistic and Olympic Gold Gymnast, by unveiling a one-of-a-kind doll in her likeness to remind girls they can be anything. The 20 year-old athlete is a force to be reckoned with as she heads to Rio to defend her title. Douglas at just 16, was the first woman of color to win the individual all-around competition for gymnastics. Her confidence, work ethic and belief in herself make her an extraordinary role model to girls. Named the next Barbie "Shero" honoree, a female hero inspiring girls by breaking boundaries and expanding possibilities for women everywhere, Douglas joins an esteemed group of women including Misty Copeland, Ava DuVernay, Emmy Rossum, Eva Chen, Trisha Yearwood and Zendaya, all who have also received the highest honor from the Barbie brand – being immortalized in plastic. "I love a challenge. I love to push limits and I love that my very own Barbie celebrates me for being a role model to girls," said Douglas. "Being honored as a Barbie Shero further motivates me to inspire girls by being the best I can be." The fashions for the doll were inspired by Douglas' own signature GK leotard line that she wears while she is training hard in the gym. 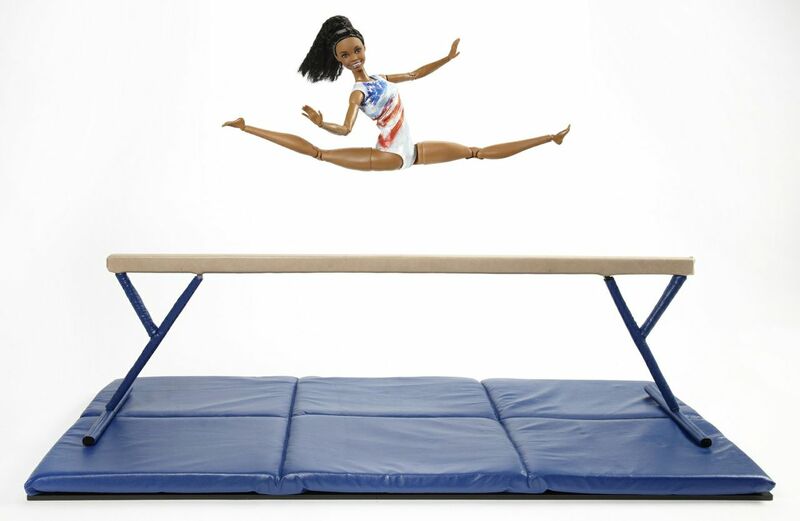 Dressed in a red, white and blue Gabby GK Elite leotard, the doll comes complete with a Nike warm-up suit. The doll is fully articulated, allowing her to do almost all of the moves Gabby performs. 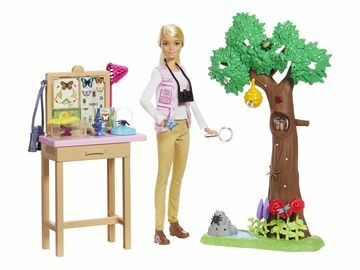 "Playing with Barbie allows girls to imagine everything they can become, said Lisa McKnight, General Manager and Senior Vice President, Barbie. While imagining you can be anything is the first step, seeing that you can is what makes all the difference. Role models like Gabby Douglas show girls that with determination and perseverance their potential is limitless." 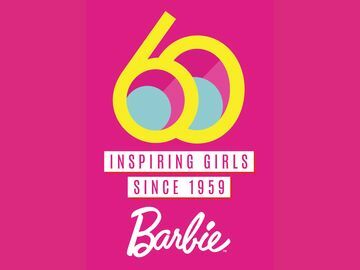 This initiative furthers the Barbie "You Can Be Anything" campaign which kicked off in 2015 and has since generated over 60 million views online. Earlier this year, Barbie expanded their Fashionistas® doll line by introducing even more diversity with three new body types – tall, curvy and petite – seven skin tones, 22 eye colors, 24 hairstyles and countless on-trend fashions and accessories. For more information and images, visit www.barbiemedia.com. 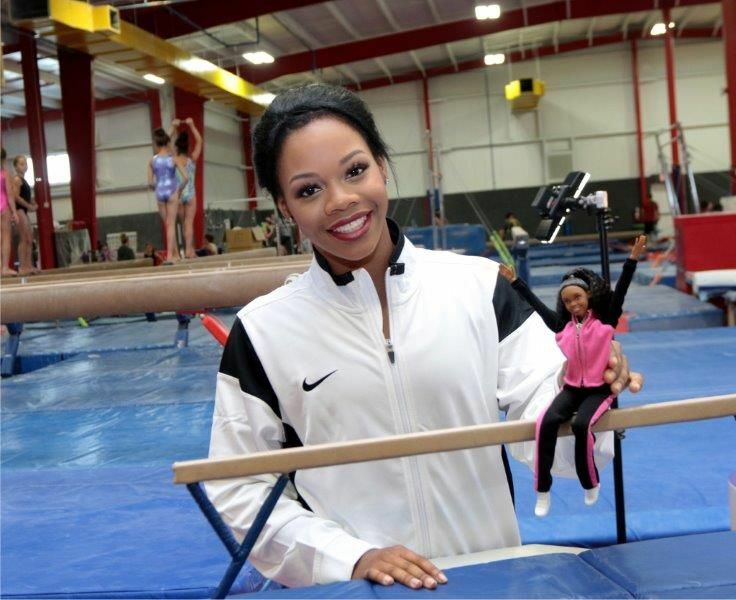 Barbie honors Gabby Douglas, 2016 U.S. Olympic Gymnastics team member and two time 2012 Olympic gold medalist, with a one-of-a-kind Barbie doll in her likeness for inspiring girls. Douglas is honored as the most recent Barbie "Shero," a female hero inspiring the next generation of girls that they can be anything.